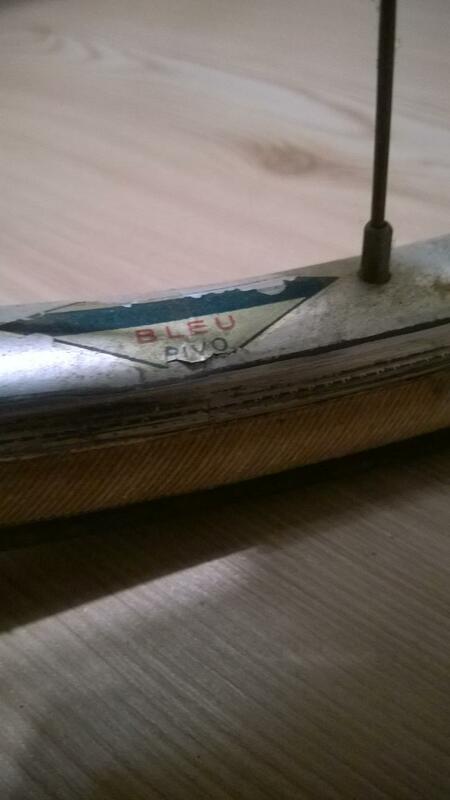 There is no "made in France" on them..
From the look of the hubs i would have said, the bike was built around the 50`s..the Brooks Saddle, however, is dated 73. Which HANDLEBAR would fit onto it? Which SEATPOST would fit onto it? 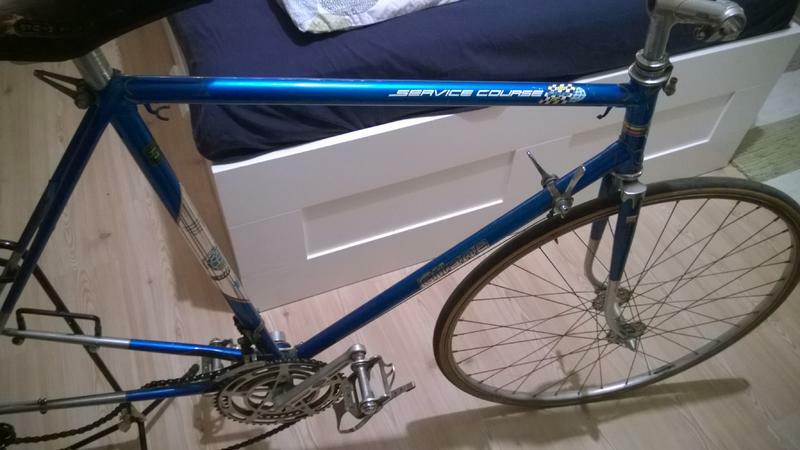 Because right now it has a Sakae Custom seatpost built in, which is not original i suppose?! Probably a model made for the French market. Maybe a 1966-67 #106 Competition model. 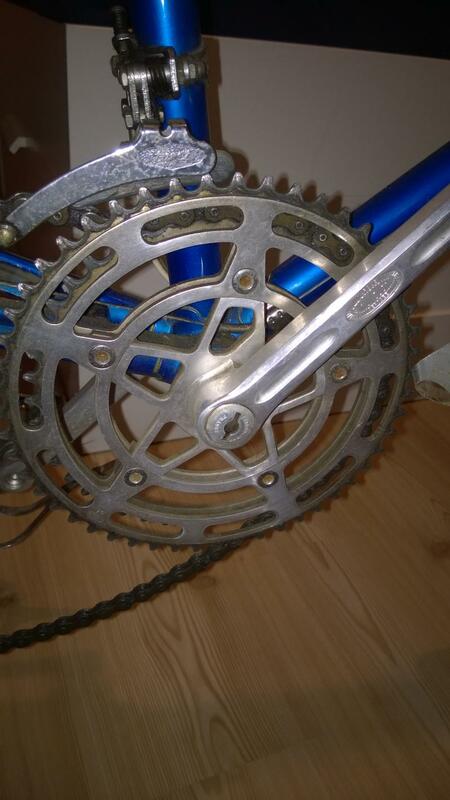 Cranks are Stronglight Model 63. Bars would be 25mm French. 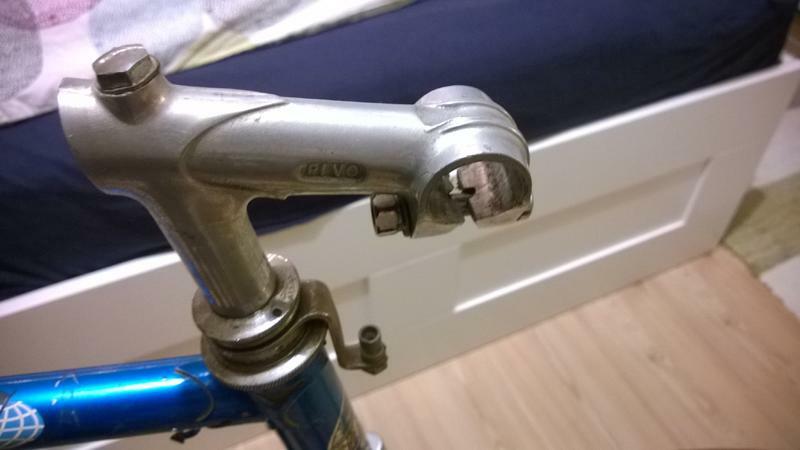 I wouldn't recommend using 25.4mm (1") bars on that old stem. The decals at that time looked different, though. Is there a safe way to exclude TdF and SC? Is it a classy model or just a mid class? Wow. Nice. I agree, as always, with Chas. 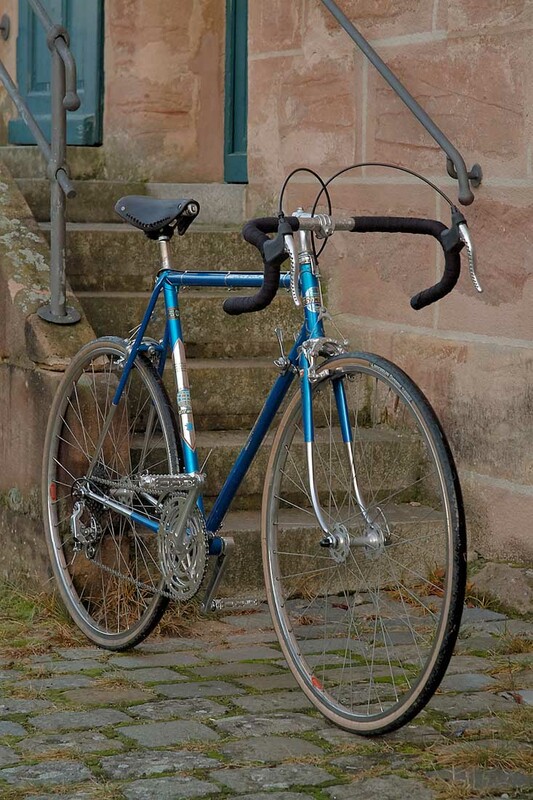 Iam still struggling with the Alvit 1900 / The Pivo Ruban Bleu and the brooks made in 73". It doesn`t really fit together in my opinion, or does it? The Super Corsa was a model made for the US market only. They were introduced in 1968. The European equivalent of the Super Corsa was the Olympic model. They were same bikes except for the names. 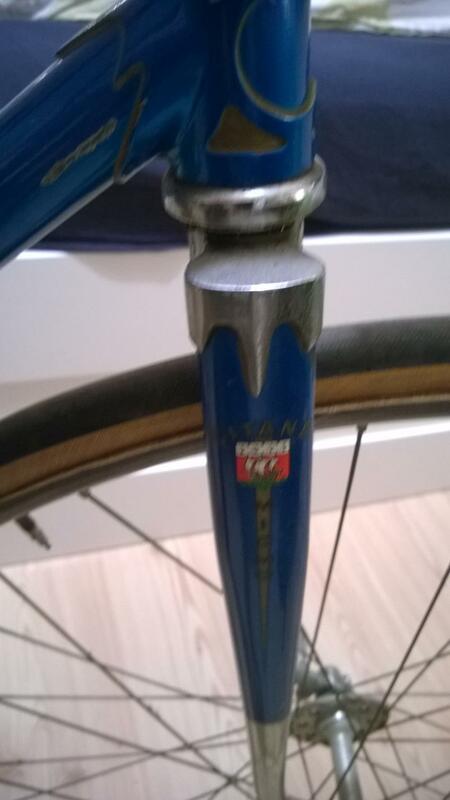 They had all Reynolds 531 frames with 1/2 chrome plated forks and rear stays plus Campagnolo rear dropouts. Fork ends Campagnolo or Huret. 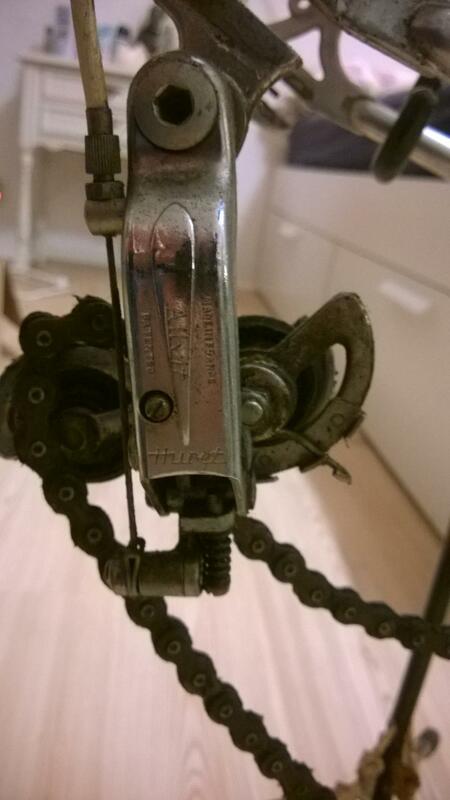 Both models came with all Campagnolo components except fro MAFAC brakes. 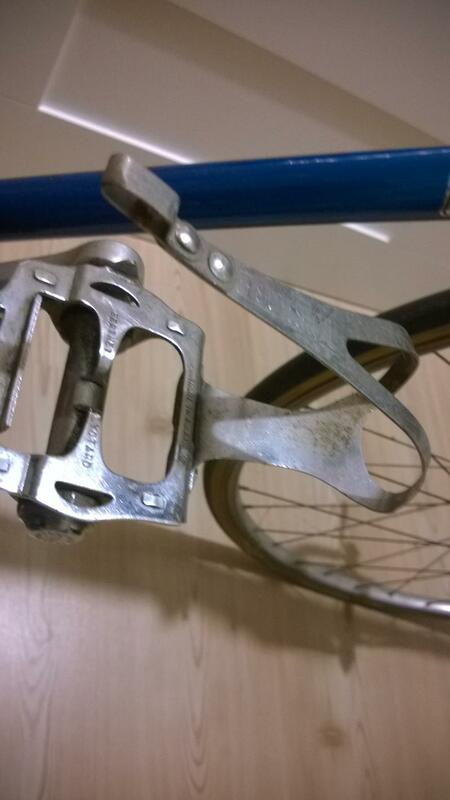 Some of both models did come with Campagnolo brakes after 1970. On the 1968 through 1976 European Tour de France models only the three main frame tubes were Reynolds 531. The rest of the tubes were light weight seamed tubing. Also, only the forks were 1/2 chrome plated. The rear stays were painted. 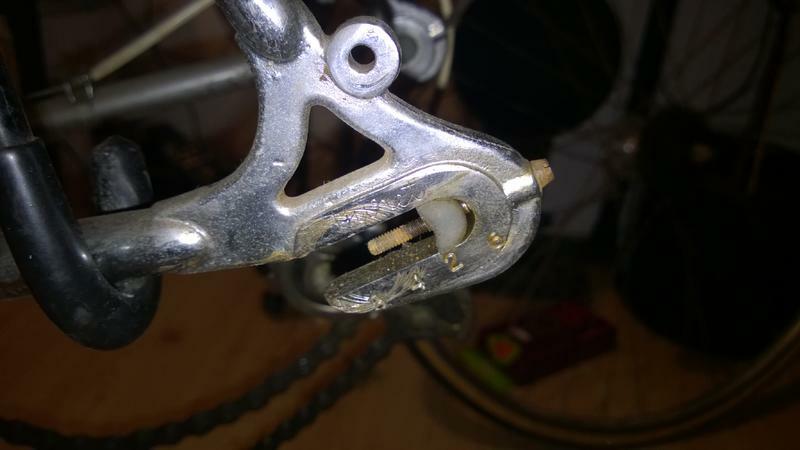 From 1968 to 1973 the rear dropouts were either Simplex or Huret depending on the brand of derailleurs that the bike came with. Those bikes came with Stronglight 93 cranks, Lyotard 460d alloy pedals and Normandy Luxe Competition hubs. 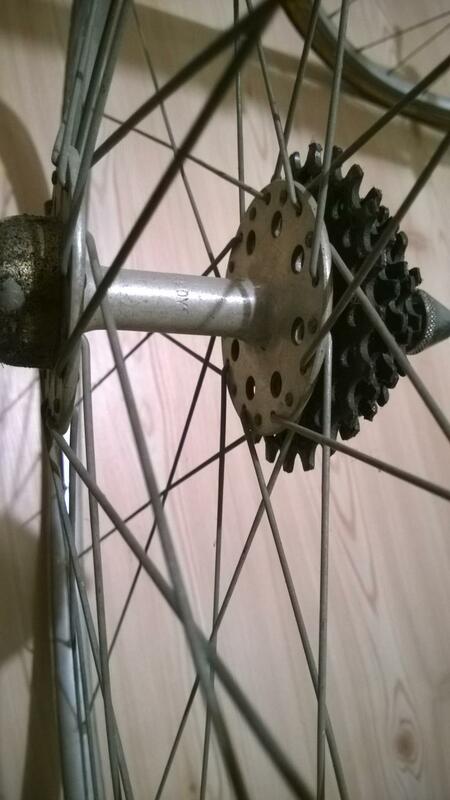 Your bike is two or three years earlier based on the Normandy hubs with the round holes and the Stronglight Model 63 cranks which were discontinued about 1966 and replace with the model 93 cranks in 1967. Pivo alloy bars were quite common. You can also substitute AVA or Phillipe 25mm bars. If you plan on riding the bike a lot, I'd look for some more modern bars that will be safer. Those old French alloy bars were made of thin, low strength tubing and tended to droop. They could fail unexpectedly. Check for date codes on components. The vintage Trek site has an awesome set up for date codes. Looks like a bottom end bike, I would expect tubing to be gas pipe. Many manufacturers "conveniently" forgot to label gas pipe frames. Bikes from that era didn't usually have any traceable date codes or serial numbers. I'll be polite... I suggest that you do a little more research. The bike is a classic mid-range Gitane from the 1960s. Very rare indeed. This is a lovely bike. 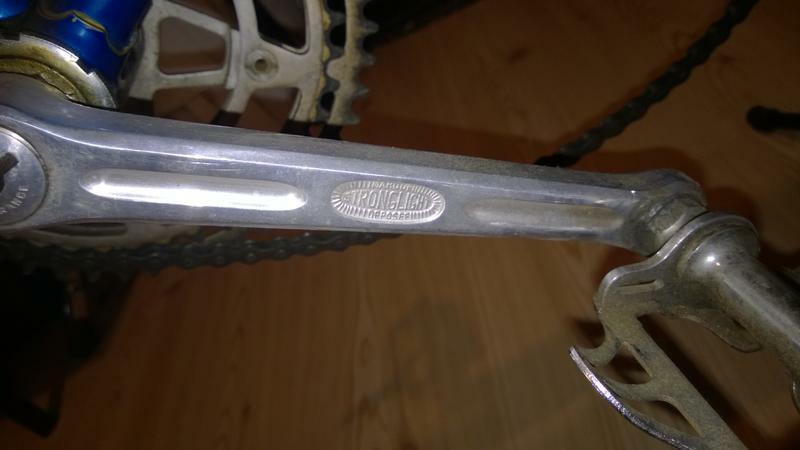 It is NOT gas-pipe, as a look at the next-to-last photo reveals a Reynolds 531 tubing decal on the seat tube. A clearer photo would be nice, but it looks like it's the label indicating main tubes only. On the other hand, the rear stays are also chromed, which usually indicates 531 stays - though that is based on bikes sold in the U.S. Then again, the stay ends are domed and not fish-mouth cut, so they may well be something other than 531. Is it comparable to a PX-10? I suspect that it will ride better, even if the Peugeot has 531 forks and stays and this one has something else. My experience is that (assuming it hasn't been crashed and has no alignment issues) it will have superior handling, just by virtue of being a Gitane. The components are roughly comparable to what a mid-60s PX-10 would have had - same cranks and brakes, comparable hubs and rims, bars, stem, etc. The Peugeot's delrin Simplex stuff might have been lighter and a bit smoother, but this bike's Huret Allvit derailleurs should clean up and work very well - the French used to regard the Allvit as a very nice unit. If I owned this bike, I would lovingly clean it and gently scrub and re-lube every bearing, maybe wax the frame and the polished chrome, and ride it. It looks to me to be in excellent shape for a 50-year old bike. Maybe quietly build a second wheelset with some 700C clinchers, but this is a lovely bike. I will echo verktyg - I would research this bike. And this one is unlike any other Gitane I have seen, and I think it is waaaay cool. I'm Stefan from Nuremberg, Germany. I am the new owner oft this mysterious frame only, not the entire bike. I took all the french components I had at home, plus a stem from ebay.fr an a wheelset from one of my other vintage racebikes to complete the frame. I just wantet to check wheater the frame has alignment issues. After few kilometers last sunday, I can say it runs perfect. My only problem was the short seatpost, which was on my daughter's children-racebike, bevore I used it to mount the Ideale 43 saddle. The frame has 531 main tubes only and weights about 2200 grams. The fork is rather hefty with about 800 grams. Below a few pictures from the first ride in the hope to get more information about the bike.